This place hosts classy appearance with elegance. With sober interiors and truly elegant welcome desk, this place will win your heart in a jiffy. 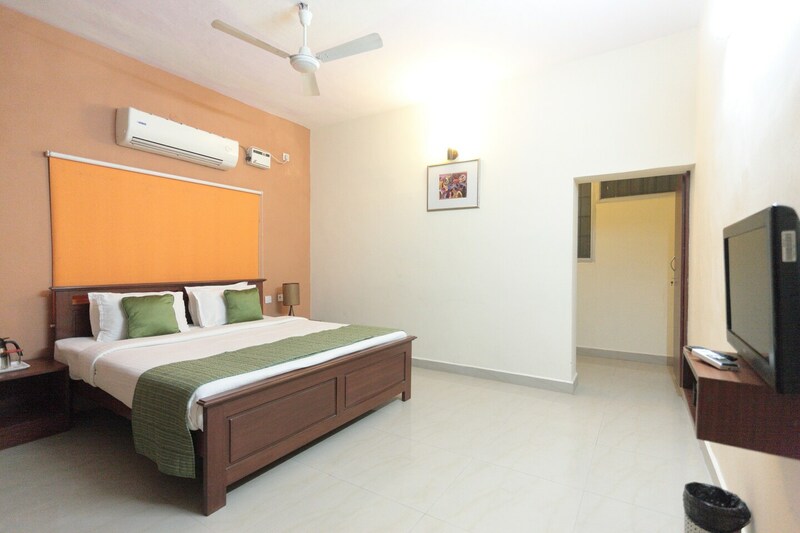 The rooms are large with sober coloured walls. Vibrant coloured plush cushions add to the appeal and gives off fresh vibes while the beautiful decoration on the main wall is sure to catch your eye. Complete with large wooden texture cabinets, this place makes sure that space is never a problem for the things your love to carry with you wherever you go. With free Wi-Fi, laundry and power backup, this place will definitely be worth the visit.